Worried your boiler is no longer efficient and is proving to be more costly than it should be? Dreading another winter without fast and effective heating in your home? You probably need a boiler replacement in Southampton. Combi-Nation is the leading provider of boiler services and replacements with a wealth of experience and knowledge. Call 023 8077 5666 to arrange for a FREE quote from our specialist engineers. Here at Combi-Nation, we pride ourselves on quality and our engineers endeavour to complete each Southampton boiler replacement with a commitment to customer satisfaction and a first-class installation service. We also make it our mission to provide a professional and comprehensive boiler replacement approach without cutting corners but still offering you the most competitive prices. The energy efficiency rating of your boiler is below ‘A’. If you suspect you may require a boiler replacement in Southampton, get in touch with one of our friendly and knowledgeable engineers today. We will provide unbiased advice so that you can make an informed decision on the most cost-effective option for your home and family. If your boiler is more than 15 years old, it will be more efficient and cost-effective to go for an upgrade in the form of a combination or condensing boiler replacement in Southampton rather than repairs. 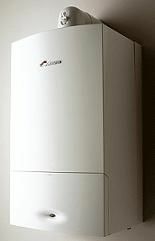 This choice of boiler is extremely popular when it comes to gas central heating in Britain. If you are searching for a boiler replacement Southampton which you can count and is economical to run, this might be the best option for you. What’s more, they fit perfectly into the average cupboard, but if you have no room to house a boiler in your current cupboard space, our team will be more than happy to construct one following the installation. If this sounds like an option you would like to consider for your property, make sure you check out the full list of benefits of a combination boiler. With a condensing boiler, the set-up is more expensive than other boilers, however in time the investment will be worthwhile by rewarding you with fantastic savings on your energy bill. If you choose a condensing boiler replacement in Southampton you may see your fuel bills slashed by up to a third. To ensure that you have a suitable location for this type of boiler, and that it will be the best option for all your heating needs, take a look at our further information on condensing boilers. Here at Combi-Nation, we pride ourselves on delivering the highest standard of Southampton boiler replacement. This is reinforced by the fact we are credited by Broag and Worcester who are part of Broag Remeha, one of Europe’s finest domestic and commercial heating companies. Furthermore, customers in Southampton, Eastleigh, Winchester and the surrounding areas can benefit from our highly-trained engineers and boiler replacement services. What’s more, we are a Gas Safe registered company (229954) and offer a high standard of boiler servicing to give you peace of mind that your home is being heated efficiently and you are getting the most for your money with a fully functioning boiler. Finally, our commitment to first-class boiler replacements and unrivalled customer service has earned us excellent testimonials from our customers. Searching for the best provider of a boiler replacement in Southampton? Call Combi-Nation today on 023 8077 5666 or fill in our order form.